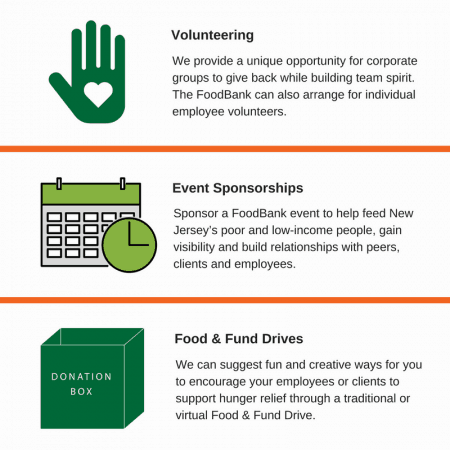 Partnering with the FoodBank can be an effective way for companies to meet their corporate goals for community involvement and employee engagement. We offer a number of opportunities for collaboration, ranging from programmatic funding to sponsorships. 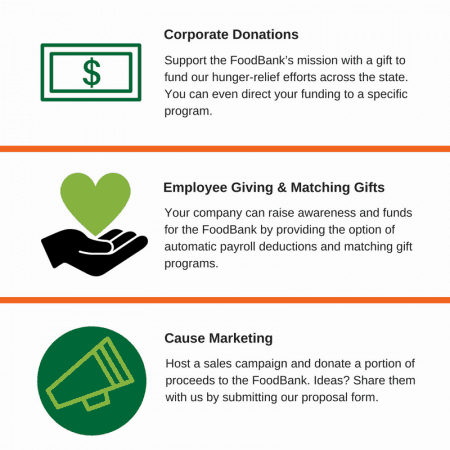 Check out the great work of our Gold Standard Partners!